If the history of computers teaches us anything, MovNat is on the cusp of a quantum leap in popularity. In the classic tech war between IBM and Apple, IBM dominated the market by utilizing an operating system (Windows) that served the people who, at the time, needed it most: businessmen. But, as we well know, Apple’s popularity has more recently exploded as the marketplace grew to demand products that better serve the needs and interests of the general public. Ultimately, Apple’s “disruptive innovations” to the personal computer (think iphone/iOS) forever changed the industry and rocketed it’s own popularity, leaving the competition collecting dust. I’m excited to announce MovNat’s new operating system-it’s “disruptive innovation”-has arrived. MovNat is the Apple of the fitness industry. Thus far, MovNat has grown in strides by introducing, defining and popularizing the novel concept of “Natural Movement”, but the industry is still waterlogged by the philosophy of those in the business of “athletic performance” rather than the more befitting, real-life “movement performance” needed desperately by the general public. But, with a team dedicated to the quality, usability, and effectiveness of the system, MovNat continues to grow organically as it serves its students and ambassadors with a potent method. Performance Benchmarks = Prescriptive levels of skill and fitness which demonstrate a student’s preparedness for the transition from one level of practice difficulty to the next. MovNat is fundamentally about real-life movement capacity. Our Performance Benchmarks include aspects of practical movement performance-including learning, function, technique, and work capacity-while targeting tangible performance objectives and giving practitioners a measurable assessment of their level. While all students will have plenty of important skill and fitness oriented milestones (such as a first pullup, for example) throughout their journey, performance benchmarks will ensure in a simple way that a student is fully prepared for the next level of skill and fitness development. 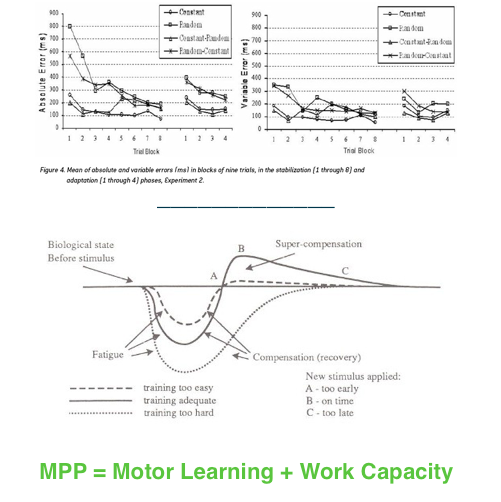 Movement Progression = the process of optimally developing motor abilities in incremental steps and phases. Becoming a masterful natural mover is a process-focused journey. An effective trainer needs to be equipped with all the tools required to expertly navigate each student’s individual path. MovNat’s new comprehensive flowchart will be the first of it’s kind to teach trainers how to systematically coach their students all the way from the ground up; from fundamental to high-level movement skills in a safe, time-efficient, and effective method. Performance Programming = The integration of training variables (volume, intensity, complexity) with movement progressions, dosed strategically over time to optimally elicit the desired performance adaptations. MovNat’s innovative new programming will mark a much-needed industry shift from fitness-focused to skill-focused programming. By liberating our clients from a programming philosophy obsessed with fitness maximums and elite athleticism, we avoid overdosing our students on exercise while forging truly healthy, robust, and capable people of all ages and walks of life. Programming will be tailored to ensure our performance benchmarks-and the requisite movement skill and work capacity-are achieved in a time-efficient and safe manner. Life Integration = the ability to transfer practice to everyday, practical challenges. Everyone knows the guy that can deadlift a respectable amount of weight, but constantly gets hurt picking up simple household items. 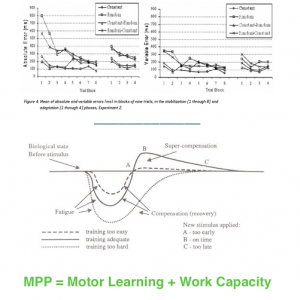 Adaptability can be said to be the true “king” quality of movement ability, and MovNat will nurture this attribute through a scientifically valid methodology. MovNat will continue to innovate and break new ground in its ability to actually prepare students for life through a practice that transcends the current model of fitness. Since it’s inception, MovNat has been dedicated to empowerment through a practice of authentic, natural human movement. We are continually strengthened by your support, and as we make moves to overhaul the fitness industry and physical education world, we need it more than ever. Whether you’re fitness professional or a movement enthusiast, every time you practice and advocate natural movement, you vote for self-liberation and empowerment. We walk together in pursuing this collective “movement,” inch by inch; mile by mile. So is there a chance that you purchase a program? Kind of like Mountain Athlete, Strong/Swift/Durable, where you purchase a 3 or 4 month program for $30 and then to do that again or move onto the next challenge. This is of course done our own if a Movnat trainer is not available. I am a big fan of MovNat but I have to say that I hate the comparison to Apple. Apple is a Walled Garden, a Closed Platform https://en.wikipedia.org/wiki/Closed_platform. Does MovNat intend to be the same? And I think that is kind of naïve to say that “Apple’s popularity has more recently exploded as the marketplace grew to demand products that better serve the needs and interests of the general public.”. There are several things at stake, not only the needs and interests of the general public. I agree with Adolfo. It was interesting that Nasim Taken endorses the MovNat philosophy in his book: Antifragile. He mentions that the “via negativa” – removal of excess and going back to basics, is a good prescription for health and sustainability. Erwan has little to teach the Kalahari bushmen (and women) but much to teach the rest of us. The marketing-speak in the above article is disturbing but the development steps for MovNat that are outlined are exciting. Let’s hope it will be less like Apple and more like Linux! I couldn’t tell you the difference between Apple and Linux if my life depended on it, so please take my analogy with a grain of salt. To me, this isn’t a question of “open vs. closed platforms”, but rather a question of understanding the needs of our market. In order to penetrate the lives of the people who need MovNat the most, we need to be able to speak their language, enter their domain, and know how to address their movement dysfunctions/goals effectively and efficiently before we can effectively guide them toward the lifestyle they need. That’s what this is about-expanding and refining our toolkit as teachers-not Apple ;] The excitement about the new developments is mutual! Benchmarks and Progressions look a great plan. While recently taking my level 1 and 2 certification I noticed these “metrics” missing- especially since I was the most challenged participant. I was often left hanging out, watching the others when I could have been working on building my way toward the skill at hand at my particular level. It is my intension for this work to be my movement approach to my manual therapeutic practice- which means I wouldn’t have access to the Programming aspect. Because my primary education is therapeutic, the programming information is really important to me. What do you propose as a solution to not having that access available to me? As far as programming, we will be updating the manual to include more principles/ideas for programming MovNat to a variety of clients-from beginner/restorative all the way to advanced/intense. All MCTs will have access to the new material. We look forward to helping you serve your clients needs even better. Great to hear that you be updating the material and all MCT can access. What date will it be come out? It is a process based on priorities, but we are moving rapidly. The programming and benchmarks are just about complete for beginner level. Expect to see the manual upgrades next year. Movnat is great, but if you look at longevity of movements eg Yoga, Fonda’s aerobics, you need to engage the older folks who are more sticky. I hope Movnat becomes the Apple of exercise But not have the same fate of Apple Newton!